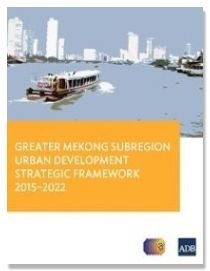 The Greater Mekong Subregion (GMS) Urban Development Strategic Framework, 2012–2022, sets out a broad framework to encourage and facilitate a coordinated approach to the development of urban areas throughout the GMS. Since the adoption of the GMS Strategic Framework, 2012–2022, the importance of urban centers in the subregion’s future has been increasingly recognized. This document sets out the scope of the GMS Urban Development Strategic Framework, including its role and proposals for taking it forward. The framework includes three pillars: Underlying these are four crosscutting themes—green development and climate change resilience, disaster risk management, inclusive development, and competitiveness. The GMS Urban Development Strategic Framework also provides the context for ongoing and planned projects in the six GMS member countries.